Match ends, Athletic de Bilbao 0, Real Madrid 3. Second Half ends, Athletic de Bilbao 0, Real Madrid 3. Attempt missed. Markel Susaeta (Athletic de Bilbao) right footed shot from the right side of the box misses to the right. Assisted by Ibai GC3mez. Attempt saved. Cristiano Ronaldo (Real Madrid) right footed shot from the centre of the box is saved in the bottom left corner. Assisted by Marcelo with a through ball. Markel Susaeta (Athletic de Bilbao) wins a free kick in the defensive half. Corner, Real Madrid. Conceded by Jon Aurtenetxe. Markel Susaeta (Athletic de Bilbao) wins a free kick in the attacking half. Foul by IC1igo PC)rez (Athletic de Bilbao). Clvaro Arbeloa (Real Madrid) wins a free kick on the right wing. Substitution, Real Madrid. Marcelo replaces JosC) CallejC3n. Offside, Real Madrid. Esteban Granero tries a through ball, but Karim Benzema is caught offside. Attempt missed. Cristiano Ronaldo (Real Madrid) right footed shot from outside the box is close, but misses to the left from a direct free kick. IC1igo PC)rez (Athletic de Bilbao) is shown the yellow card for a bad foul. JosC) CallejC3n (Real Madrid) wins a free kick in the attacking half. Corner, Real Madrid. Conceded by Andoni Iraola. Foul by Andoni Iraola (Athletic de Bilbao). Offside, Athletic de Bilbao. IC1igo PC)rez tries a through ball, but Ibai GC3mez is caught offside. Substitution, Real Madrid. Esteban Granero replaces Mesut Czil. Mesut Czil (Real Madrid) is shown the yellow card for a bad foul. Cscar De Marcos (Athletic de Bilbao) wins a free kick in the defensive half. Foul by Mesut Czil (Real Madrid). Attempt blocked. Cristiano Ronaldo (Real Madrid) left footed shot from outside the box is blocked. Substitution, Real Madrid. Karim Benzema replaces Gonzalo HiguaC-n.
Delay in match Markel Susaeta (Athletic de Bilbao) because of an injury. Second yellow card to Javi MartC-nez (Athletic de Bilbao) for hand ball. Hand ball by Javi MartC-nez (Athletic de Bilbao). Cscar De Marcos (Athletic de Bilbao) wins a free kick in the defensive half. Foul by Clvaro Arbeloa (Real Madrid). Offside, Athletic de Bilbao. Javi MartC-nez tries a through ball, but Fernando Llorente is caught offside. Xabi Alonso (Real Madrid) is shown the yellow card for a bad foul. Cscar De Marcos (Athletic de Bilbao) wins a free kick in the attacking half. Cscar De Marcos (Athletic de Bilbao) hits the bar with a right footed shot from outside the box. Assisted by Ibai GC3mez. Attempt missed. Ibai GC3mez (Athletic de Bilbao) right footed shot from outside the box is too high from a direct free kick. Clvaro Arbeloa (Real Madrid) is shown the yellow card for a bad foul. Cscar De Marcos (Athletic de Bilbao) wins a free kick in the attacking half. Foul by Clvaro Arbeloa (Real Madrid). Andoni Iraola (Athletic de Bilbao) wins a free kick in the defensive half. Foul by Sami Khedira (Real Madrid). Corner, Real Madrid. Conceded by Gorka Iraizoz. Attempt saved. JosC) CallejC3n (Real Madrid) right footed shot from the centre of the box is saved in the bottom right corner. Assisted by Xabi Alonso with a through ball. Foul by Cscar De Marcos (Athletic de Bilbao). Ibai GC3mez (Athletic de Bilbao) wins a free kick in the attacking half. Foul by Clvaro Arbeloa (Real Madrid). Attempt saved. Cristiano Ronaldo (Real Madrid) left footed shot from outside the box is saved in the centre of the goal. Assisted by Pepe. Offside, Real Madrid. Cristiano Ronaldo tries a through ball, but Gonzalo HiguaC-n is caught offside. Goal! 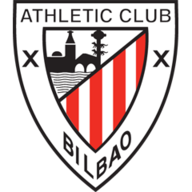 Athletic de Bilbao 0, Real Madrid 3. Cristiano Ronaldo (Real Madrid) header from very close range to the bottom right corner. Assisted by Xabi Alonso with a cross following a corner. Corner, Real Madrid. Conceded by Javi MartC-nez. Attempt blocked. Gonzalo HiguaC-n (Real Madrid) right footed shot from the centre of the box is blocked. Attempt blocked. Gonzalo HiguaC-n (Real Madrid) left footed shot from the centre of the box is blocked. Assisted by Clvaro Arbeloa. Substitution, Athletic de Bilbao. Andoni Iraola replaces Mikel San JosC). Second Half begins Athletic de Bilbao 0, Real Madrid 2. First Half ends, Athletic de Bilbao 0, Real Madrid 2. Gaizka Toquero (Athletic de Bilbao) is shown the yellow card. Javi MartC-nez (Athletic de Bilbao) wins a free kick in the defensive half. Foul by Mikel San JosC) (Athletic de Bilbao). Mesut Czil (Real Madrid) wins a free kick on the right wing. Offside, Real Madrid. Sergio Ramos tries a through ball, but Gonzalo HiguaC-n is caught offside. Gonzalo HiguaC-n (Real Madrid) wins a free kick in the attacking half. Ibai GC3mez (Athletic de Bilbao) wins a free kick in the defensive half. Foul by Clvaro Arbeloa (Real Madrid). Attempt missed. Javi MartC-nez (Athletic de Bilbao) header from the centre of the box is close, but misses to the right. Assisted by Ibai GC3mez with a cross following a set piece situation. Markel Susaeta (Athletic de Bilbao) wins a free kick on the left wing. Dangerous play by JosC) CallejC3n (Real Madrid). Corner, Athletic de Bilbao. Conceded by Xabi Alonso. Mesut Czil (Real Madrid) hits the bar with a right footed shot from outside the box. Mikel San JosC) (Athletic de Bilbao) is shown the yellow card for a bad foul. Attempt blocked. Ibai GC3mez (Athletic de Bilbao) right footed shot from outside the box is blocked. Attempt saved. IC1igo PC)rez (Athletic de Bilbao) left footed shot from a difficult angle and long range on the right is saved in the top right corner. 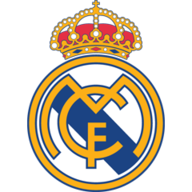 FC!bio CoentrC#o (Real Madrid) is shown the yellow card for a bad foul. Markel Susaeta (Athletic de Bilbao) wins a free kick on the right wing. Foul by FC!bio CoentrC#o (Real Madrid).